The scene of Mick Fanning’s frightening brush with a White Pointer last year will now have added protection thanks to Shark Mitigation System’s (ASX:SM8) Clever Buoy tech. 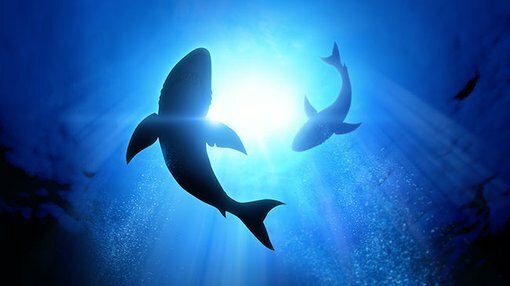 The ASX-listed tech play told the market this morning that it had won a contract to provide shark protection at the J-Bay Open in South Africa in July by the World Surfing League. The J-Bay Open was the scene of Mick Fanning’s frightening close encounter with a White Pointer last year. SM8 won the contract on the back of a successful trial of its Clever Buoy tech at Bondi from February to April earlier this year – with the new contract a sign of gathering international interest in the tech. “We are very excited to be working to be working with the pro surfing league to showcase our technology and provide critical safety information to the organisers of the event,” SM8 co-founder Craig Anderson said. Clever Buoy is billed as a non-invasive technology which eliminates the need to use nets and other solutions, while protecting beachgoers and the environment at the same time. The unit sits in the water and uses sonar and other identification systems to relay critical information back to the beach. It is designed to be set up beyond surf zones and utilises multi-beam sonar transducers mounted on the ocean floor coupled with newly developed detection software to scan for marine life. Once marine life is detected, the software then analyses swimming patterns to determine the probability of a shark occurrence. If there is evidence of a shark, the information is transmitted to lifeguards notifying them of the target and location – giving lifeguards quicker warning of an approaching shark in the water. News of the J-Bay contract is a further indication that the surfing community is getting excited by the tech, with the company recently bagging surfing legend Taj Burrow as an ambassador for the company.